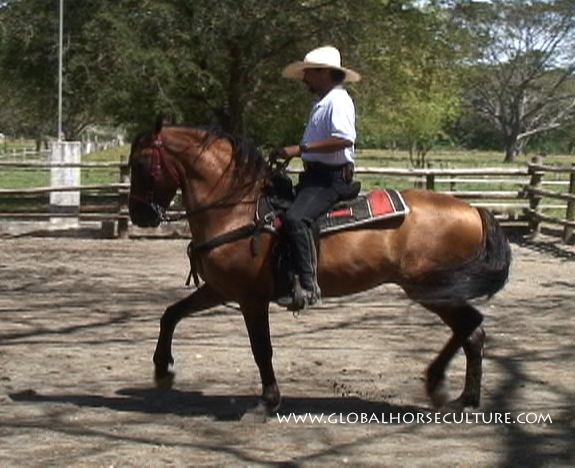 The Equinest has a great post about the Mangalarga Marchador, a popular gaited breed in Brazil. Check it out! So having focused on the Galloway in Part 1, we turn to the Narragansett Pacer. My grandfather, Gov. 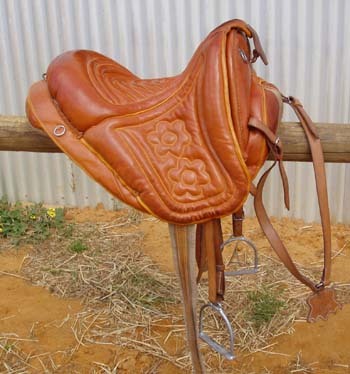 Robinson, introduced the famous saddle horse the 'Narragansett Pacer,' known in the last century over all the civilized part of North America and the West Indies, from when they have lately been introduced into England as a ladies saddle horse, under the name of Spanish Jannette. Governor Robinson imported the original from Andalusia, in Spain, and the raising of them for the West India market, was one of the objects of the early planters of this country. My grandfather, Robert Hazard, raised about one hundred annually, and often loaded two vessels a year with them...which sailed direct from the South Ferry to the West Indies, where they were in great demand. One of the causes of the loss of that famous breed here, was the great demand for them in Cuba.... This, and the fact that they were not so well adapted to draft as other horses, was the cause of their being neglected, and I believe the breed is now extinct in this section. In England, notwithstanding what Mr. Hazard states...concerning the importance of these pacers, under the name of Spanish jennets, I never saw or heard tell, having been among horses and horsemen since my earliest childhood, of any such race of ladies' riding horses; nor have I ever read, to the best of my memory, of pacers, in sature, poem, or romance, as a feature of feminine luxury. All of this makes me wonder whether "Spanish" was used in the past as a way to indicate that something was glamorous or trendy, in the same way that fine goods now are sometimes branded as if they are French, to convey a sense of luxury. Barring further research, I cannot conclude that the Narragansett Pacer was or was not related to the Spanish horses or to the Galloway, nor can I be sure that the Galloway was or was not imported to the United States, nor whether the Galloway had Spanish ancestry. The Paso Costarricense, or Costa Rican Paso, is derived from the Criollo stock improved with additions of Andalusian and Peruvian Paso blood. Some horses show more of one influence or the other in their conformation and gait. 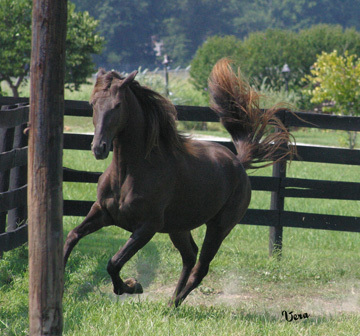 Many show the flicking of the leg - called termino - that is characteristic of the Peruvian Paso. A thick arched neck and naturally high-stepping action are typical. A variety of solid colors, including dun, as shown here, are common. Sabino markings are quite common. Tobiano is growing in popularity. The Costa Rican Paso is more of a show, pleasure and parade horse than a working man's horse, if only because his finer breeding makes him more expensive, and thus out of reach of the rural cowboy. This dun stallion is at Rancho Casagua, in the northwest of Costa Rica.